The leader of Britain's trade unions has revealed she has only met Theresa May once and has had many more meetings with German Chancellor Angela Merkel. TUC general secretary Frances O'Grady also said she has had a number of meetings with Chancellor Philip Hammond and Brexit Secretary David Davis. Ms O'Grady said her single meeting with Mrs May - a "one-to-one" in Downing Street - came shortly after Mrs May became prime minister and that she was surprised they had not met more often.But the prime minister's spokesman hit back, claiming what was important was Mrs May's commitment to helping hard-working people and that she should be judged on her record. 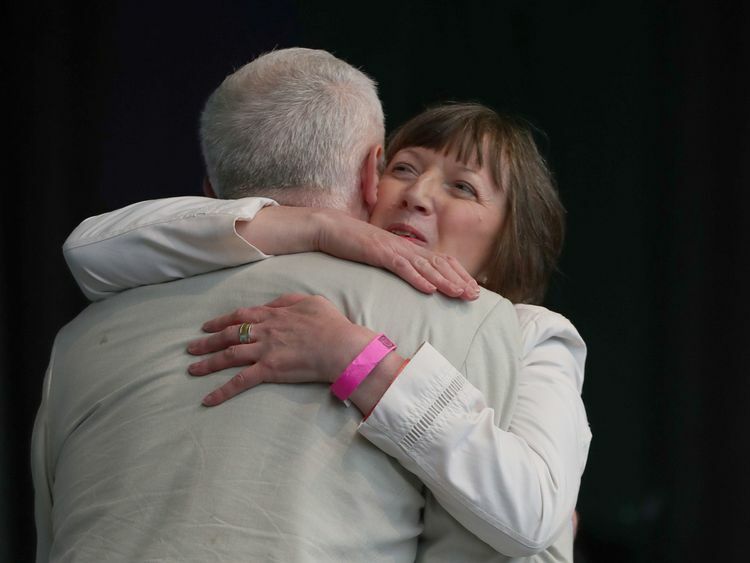 The TUC chief revealed the Number 10 snub when answering questions after a speech to political journalists at Westminster, in which she also urged the prime minister to act with caution on Brexit. "I've met Theresa May once," Ms O'Grady said. "And I have in the past sometimes reflected on the fact that I've met Angela Merkel, the president of Ireland and various others many more times than our own prime minister. "She added: "This isn't for me a left/right issue. There are countries where it's recognised that it's important not just to listen to business, but to listen to working people too. "I do meet other ministers - Philip Hammond, David Davis, various others - on a semi-regular basis and I value that opportunity, whether it's me or other union leaders to get a fair hearing. "With Jeremy [Corbyn] obviously I see him on a regular basis. I understand all politicians are busy. "Asked why there had only been one Number 10 meeting, Ms O'Grady said: "I suspect things became more difficult after the last election. "Had the election been decisive, we maybe would have been meeting on a regular basis." And she added: "I value that opportunity, whether it's me or bringing union leaders, to get a fair hearing. That's all we ask - to get a fair hearing." On Brexit, Ms O'Grady, who campaigned for Remain, urged Mrs May to heed the closeness of the 2016 EU referendum result. "As a union officer, if I got a ballot result that was 52-48 in term of my membership I would be very, very careful about what I did next because the last thing I'd want to do is split my membership," she said. "We just can't afford a 'hard' Brexit. Working people in this country felt that they paid a very, very high price for the financial crash. I don't think that we can see them paying the bill for Brexit. "Asked why the prime minister had only met once with Ms O'Grady, Mrs May's official spokesman said: "The prime minister meets regularly with a range of industry leaders. "What is important is her absolute commitment to helping hard-working people. "You should judge the prime minister on her record in relation to the steps that she has taken to support workers. 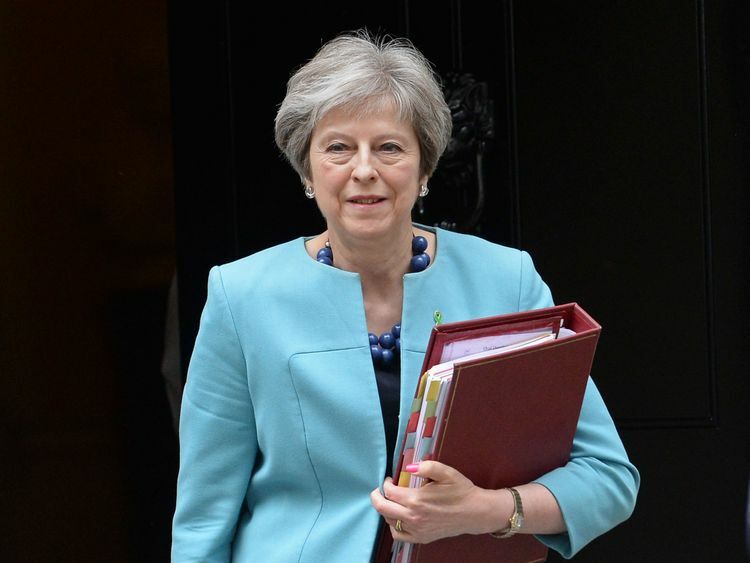 "The Downing Street spokesman pointed to the government's record in cutting income tax, increasing the national living wage, doubling free childcare for the parents of three and four-year-olds and enforcing rights to sick pay and holiday pay for vulnerable workers. During her speech, Ms O'Grady also ridiculed the Bank of England's deputy governor, Ben Broadbent, who earlier this month described the UK economy's performance as "menopausal".She told her audience: "Perhaps next time the Bank of England will say the economy is in erectile dysfunction."